O-Sensei once said that a student could learn all the basics of Aikido if he practiced just three techniques tai-no-henko, morotedori-kokyuho, and suwariwaza-kokyuho. Given the seemingly endless number of different waza and their variations, techniques? Morihiro Saito-Sensei begins his “Takemusu Aikido” (Vol. I)instruction book with these same three techniques. There is something special happening here. The three principles of aikido are kokyu-ryoku, tai-no-sabaki, and ki-no-musubi. 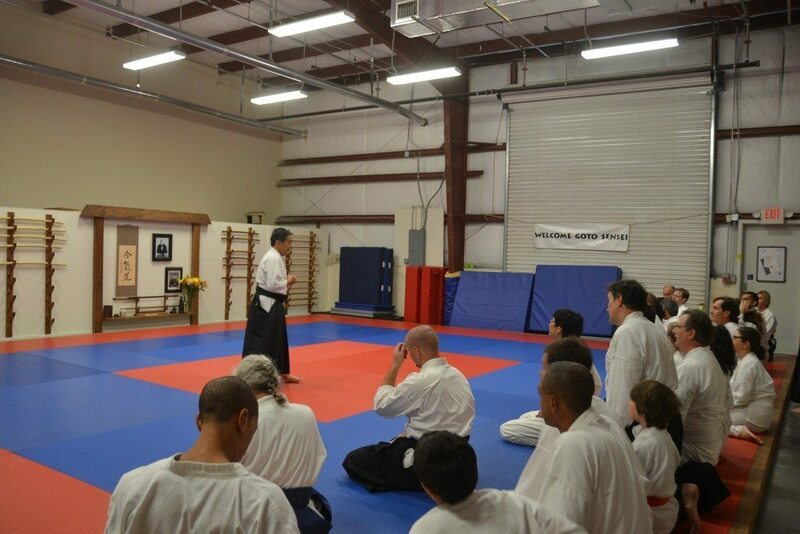 Each of these principles is used to properly train and execute every aikido technique. Kokyu-ryoku is your extension, your breath, your ki. O'Sensei called extension the “circle of steel”. It can also be thought of as your sphere. Literally, kokyu-ryoku means “breath power”, or learning to coordinate breath with movement. 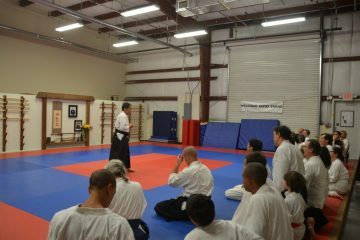 When you understand when to breathe in, when to breathe out, then Aikido becomes a moving meditation.